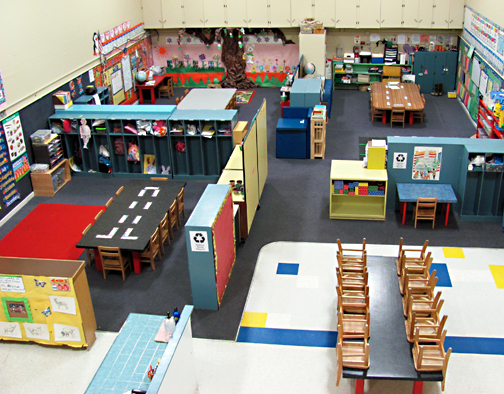 AGA offers a very unique Preschool and Pre-Kindergarten program that is licensed by the Municipality of Anchorage. Our Gymnastic Preschool and Pre-Kindergarten Program is based on learning through play experiences and gymnastic movement, with an emphasis on academic procedure. Reading, math and science are incorporated into daily activities. AGA is not a day care. It is a broad and unique gymnastics sports education facility. Gymnastics training begins with the fundamentals of gymnastic movement and progresses to the higher levels of skill. Our primary goal is the development of children into outstanding students and young athletes who are socially, emotionally, mentally and physically fit. Pre-Kindergarten at AGA is a busy room. Teaching practices include hands on experiments, practice worksheets, thematic units, and working with manipulatives. Children are also immersed in gymnastics for an hour and a half after lunch each day. Below is a brief description of our Language Arts and Arithmetic studies. We are open at 7:30 a.m. for drop-off. School starts at 9 a.m. and is finished at 4 p.m. Children need to be picked up by 6 p.m.
Students are exposed to the English language, both orally and in print. We work with the alphabet, both upper and lower case. Letter/sound correspondence is taught not only for the basic alphabet but for combinations as well. Rhymes, prediction skills, beginning and ending consonant sounds, word families and sight words are explored. Students begin to put their thoughts down on paper using both drawings and words. Thematic units of study are very popular with students. During work on these units, we try to integrate Science, Geography, Social Studies and Arithmetic as much as possible. By doing so, students are able to see first hand how their learning in one area impacts other areas of study. Examples of units include penguins, farms, weather, bears, nutrition, etc. During thematic units, we touch on Science, Geography, Social Studies and Math. Numbers naturally play a large part of our Arithmetic studies. Students not only learn to recognize and write numbers, but to recognize what numbers mean in terms of concrete items. We also explore other math areas such as measuring, telling time, coin recognition, and skip counting. We offer a great early learning preschool program. We incorporate a variety of learning activities into each class. Our structured academic classes help children to learn skills such as writing, counting, letter and number sound recognition and helps improve gross motor skills. 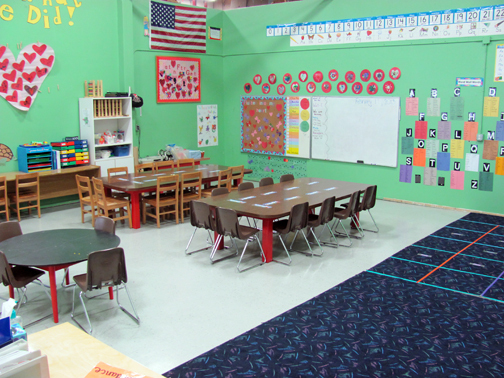 The children rotate into different learning classes that include circle time, calendar and learning centers. Aside from our academic classes the children participate in art, music, dance, story/reading time and many other exciting activities that go on throughout the day. Also incorporated in our program is gymnastics. During gym class the children are taught the basic skills needed to do each of the gymnastic "events" including floor, bars, beam, rings, vault, p-bars and pommel horse. We believe gymnastics is an excellent stepping stone for children. Not only does it set the foundation for a gymnastics career, they also gain the strength, balance and flexibility needed to excel in many other sports they may participate in later in life. If you would like more information on our program or if you would like to speak with our preschool staff, please call us at (907) 563-3041. We have continuous enrollment until a class is full. All fees will be pro-rated accordingly and all fees must be paid in advance (no cash refunds). Reservations are made at the beginning of each month for attendance by the month, week or day. We require a two week, written notice before you stop enrollment, otherwise we will assume your child will continue on to the next month or session and consequently, bill you for it. All children must be completely potty trained. If you would like to enroll your child in our program please fill out the forms, stop by or call us.